> Safety laws made in NT and Tas. New WHS and workers' comp standards have commenced or been postponed in three jurisdictions, while two jurisdictions have issued confined space alerts after three deaths and an electric shock. A workplace quad bike victim's injury damages have been increased by 40 per cent on appeal. Meanwhile, a worker has failed to prove his noisy workplace was noisy enough to cause his tinnitus. 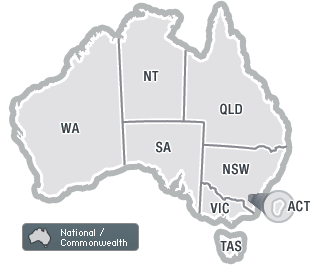 > NSW employers reminded of upcoming RTW requirements. > Best workplace safety initiatives announced in WA. > Safety policy and labour-hire guide released by NHVR and ONRSR. > OHS regulator gets say over MHF neighbourhoods. The NSW Government has acted on its May 2018 plan to overhaul the dispute resolution process for injured workers through legislative amendments. It has also welcomed Sydney's successful bid to host the World Congress on Safety and Health at Work. > Police target unsafe electrical syndicate, union blames self-regulation. > CoR-related SMS tools and RIS on automated vehicles released.